PETERBOROUGH, Ont. — Semyon Der-Arguchintsev and Nikita Korostelev scored in a shootout to give the Peterborough Petes a 4-3 Ontario Hockey League victory Saturday night over the North Bay Battalion, ending the Petes’ club-record-tying losing streak at 10 games. 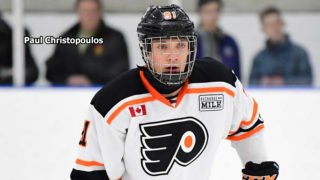 Korostelev had one goal and one assist and Nick Robertson and Brady Hinz a goal apiece in regulation time for Peterborough, which has a won-lost-extended record of 19-28-6 for 44 points, fifth in the East Division and ninth in the Eastern Conference. Goaltender Dylan Wells faced 50 shots through overtime before a crowd of 2,980. 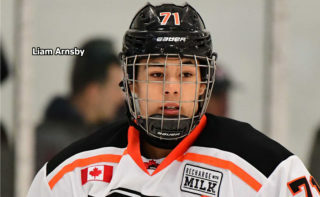 Matthew Struthers scored two goals and Brad Chenier one for North Bay, 24-21-8 for 56 points, third in the Central Division and fifth in the conference. Goaltender Christian Propp made 31 saves through overtime for the Battalion, which is 11-2-2 in its last 15 games. Peterborough’s previous win was a 6-2 decision Jan. 13 over the visiting Ottawa 67’s. The Petes also lost 10 in a row in 2009-10 and 2010-11. The shootout goals by Der-Arguchintsev and Korostelev, the latter clinching the win, bracketed a miss by Robertson. Adam McMaster and Brandon Coe failed to score for the Troops, who opened a two-game road trip. Hinz gave the Petes a 3-2 lead at 8:05 of the third period when a Matt McNamara shot from the right-wing half boards glanced off him in the goalmouth. Der-Arguchintsev had the other assist on Hinz’s 15th goal of the season. Struthers tied it at 15:00, driving to the left side of the crease to convert a crisp pass from Luke Burghardt off a rush. Adam Thilander also assisted on Struthers’s 17th goal of the campaign and eighth since a Jan. 3 trade from the Owen Sound Attack. Struthers opened the scoring at 1:25 of the first period, stuffing the puck home from the goalmouth after a shot from the right side by Justin Brazeau. Burghardt had the other assist. Robertson tied it on the power play at 7:22, connecting from the right circle for his ninth goal, and Korostelev scored at 14:59 off an odd-man rush. Logan DeNoble and Der-Arguchintsev had assists on Korostelev’s 23rd goal, tied with DeNoble for the team lead. Chenier struck on the power play at 9:33 of the second period, seven seconds after Zach Gallant went off for slashing. Nick King and Riley Bruce drew assists on Chenier’s 15th goal, which he tipped home from the right lip of the crease. The Battalion visits the Kingston Frontenacs at 2 p.m. Sunday. The game can be seen live in North Bay on YourTV Channels 12 and 700 and heard on Country 600 CKAT. BATTALION BULLETS: It was the third of four meetings between the teams and the first at the Peterborough Memorial Centre. The Petes won 7-3 on Oct. 9 before the Battalion prevailed 4-3 via shootout Jan. 14. 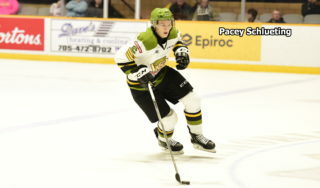 The season series wraps up March 15 at Peterborough … Battalion captain Bruce played his 254th game, tying Sam Carrick for 10th place on the franchise list … The Troops have played beyond 60 minutes in six of their last eight games, which have featured four shootouts … North Bay is 9-14-2 on the road. Peterborough is 15-10-2 at home … The Battalion was 1-for-3 on the power play. 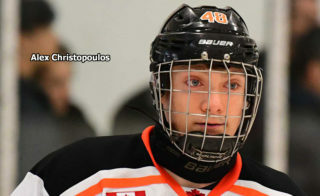 Peterborough went 1-for-5 … Opening lines included Struthers centring left winger Burghardt and right winger Brazeau, Kyle Potts pivoting left winger McMaster and right winger Jake Henderson and Patrick Brown centring left winger Chenier and right winger Coe. 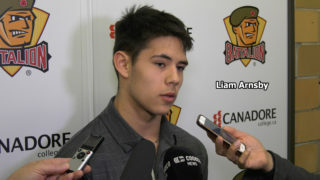 Luke Moncada centred left winger Daniel Walker and right winger Andy Baker … The Battalion was without Travis Mailhot, Rhys Forhan and Kurtis Evans … Among the missing for Peterborough, which dressed 17 skaters, one below the limit, were Alex Black and Adam Timleck … Wells is 17-22-6 with a goals-against average of 3.58, a save percentage of .899 and one shutout. 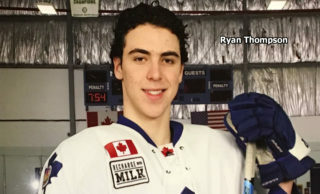 His total of 22 regulation losses is tied with Jake McGrath of the Sudbury Wolves for the most in the league … The referees were Ryan Harrison and Scott Oakman.